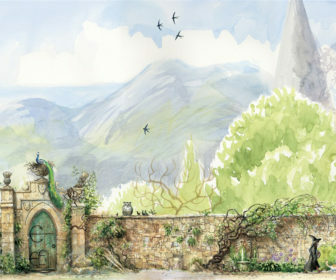 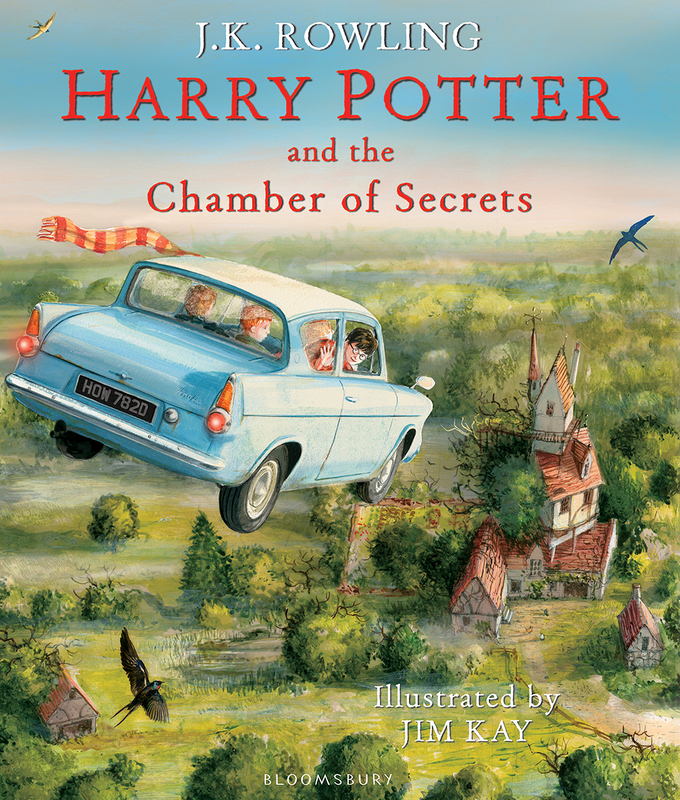 The jacket artwork features the Ford Anglia flying to the Burrow. 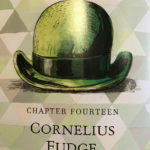 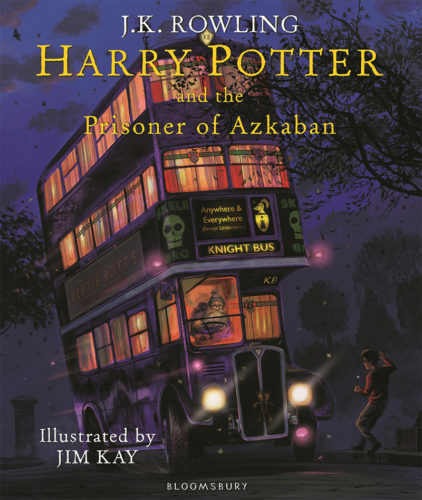 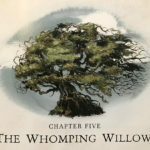 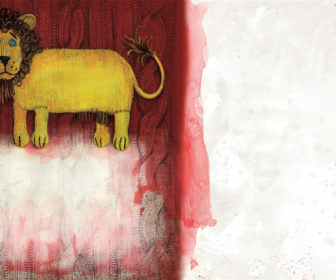 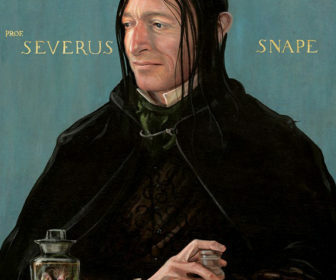 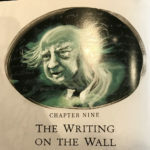 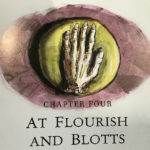 Earlier this month, Bloomsbury and Scholastic published the second of seven planned Harry Potter illustrated editions. 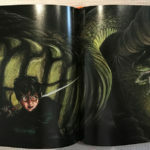 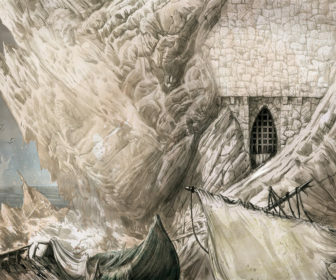 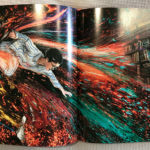 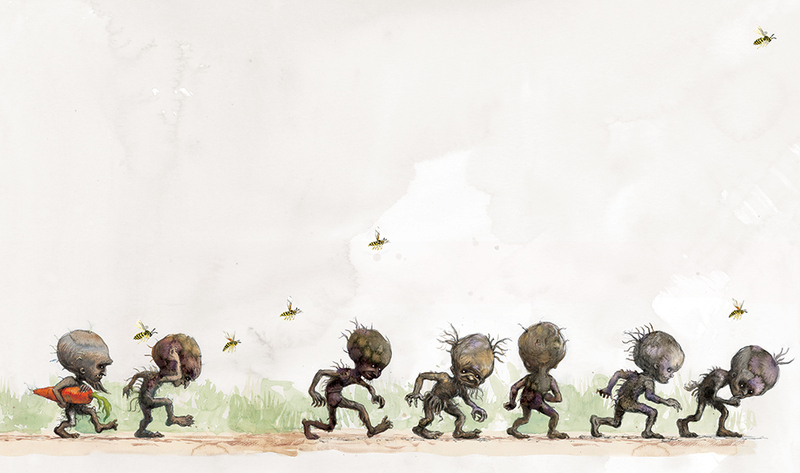 Like its predecessor, the Chamber of Secrets illustrated edition again features glorious artwork from illustrator Jim Kay. 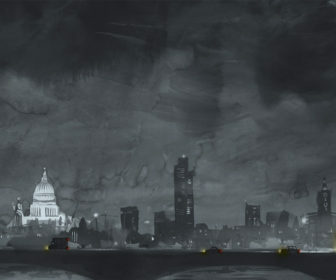 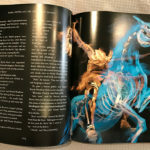 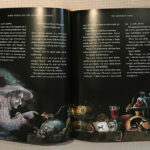 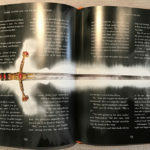 It goes without saying, but the illustrated editions really are a work of art: J.K. Rowling’s beautifully typeset words are complemented with glorious chapter illustrations, full-page murals, character portraits, and sketches by Jim Kay. 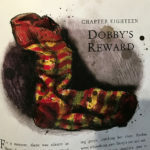 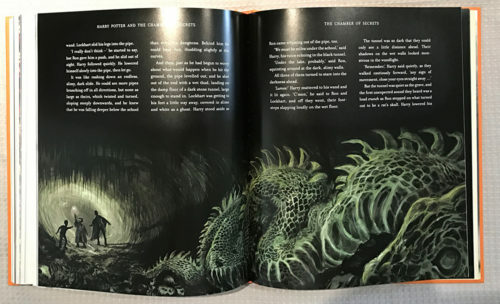 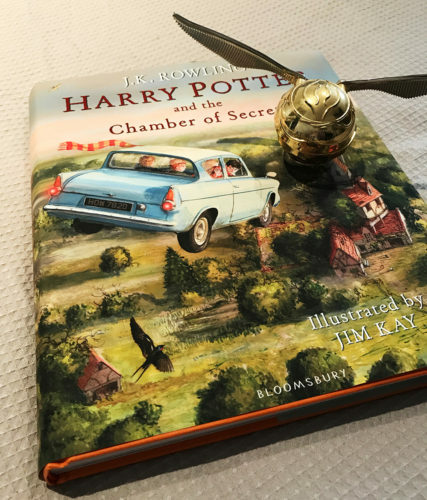 Says Kay, “the techniques for illustrating Chamber of Secrets were slightly different to book one … I wanted it to have a slightly different feel, a different look”. 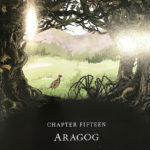 In particular, the chapter opens are a little different, stylistically, to book one. 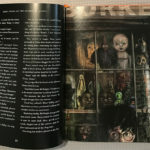 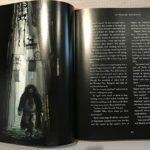 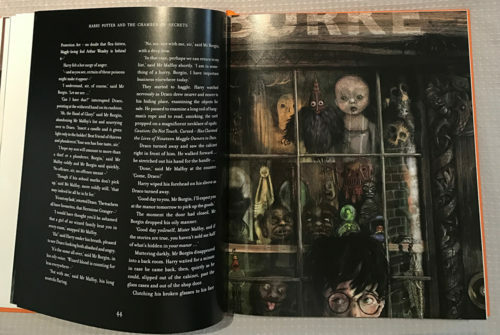 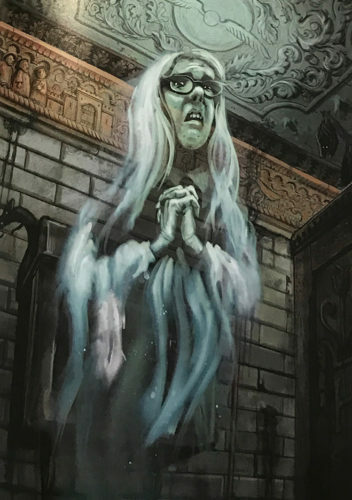 Harry arrives at Knockturn Alley: the black background, white text, and full page artwork make this a spooky passage to read. 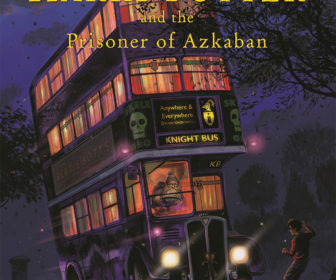 The Basilisk skin lies in the Chamber of Secrets.